What is better than watching the Fins win on football Sundays and Monday nights? Watching the Fins win while playing a game of billiards on the Miami Dolphins Pool Table from Imperial Billiards! If your man cave is decked out in aqua and orange, this billiard table will provide the perfect flagship piece that will spark conversations (and hopefully friendly games) between you and your visitors. 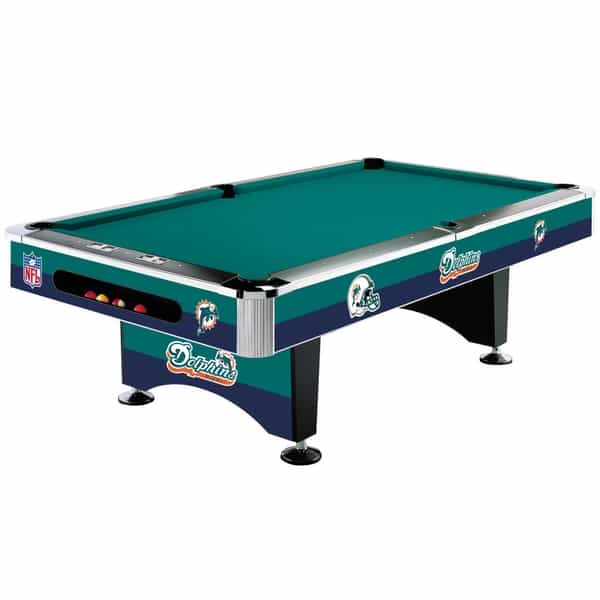 Each NFL-style billiard table is built by Imperial to provide the best playing experience possible, with sturdy construction and the best materials such as natural gum rails and reliable slate!